Some of the places are always your dream destinations; even after knowing that they are well connected by roads but still cut out from the rest of the world. Leh Ladakh road trip from Delhi was one of our dreams. We were trying to accomplish this 3500 km road trip dream for three years and finally, it happened in 2017. The each landscape, mountain, road, stream throughout the road trip is unique and has its own tale. So, now do we have? Starting with Julley! Joolay! 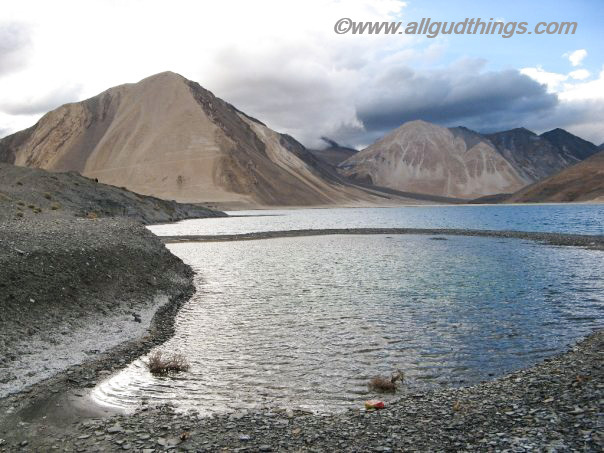 Julley to Ladakh is a mesmerizing, indeed a magical word to say Hi, Hello, Namaste, Welcome and goodbye. It brings a smile whenever we say it. Anyways we have lots to talk about this epic road trip; starting with the itinerary or travel guide for Leh Ladakh road trip. 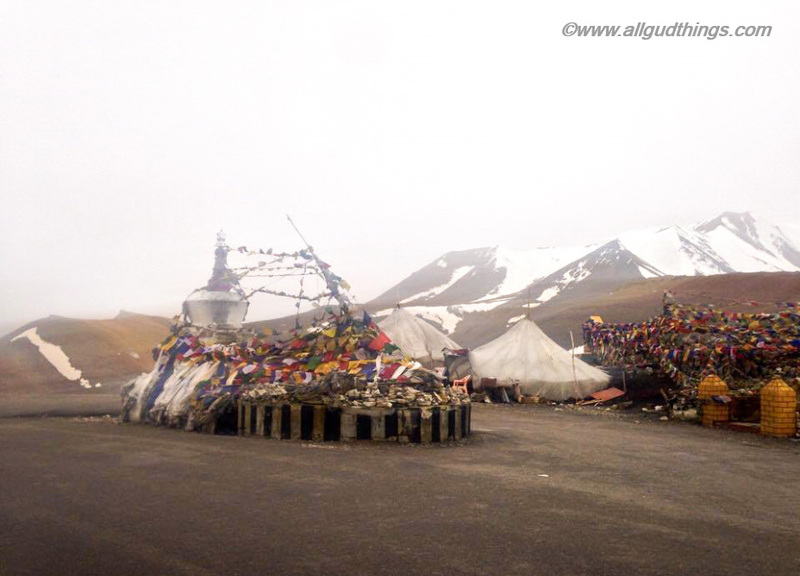 There are two routes to reach Leh – one from Manali and other from Srinagar. We did the circuit route, starting from Jammu to Leh and back via Manali. So, we will be talking the 13 days guide on it. 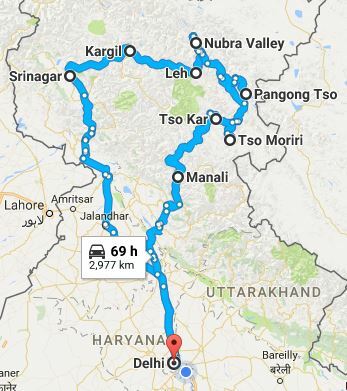 Start from Delhi around 6-7 am and try to cover the distance till Jammu. The condition of roads: Excellent; National Highway with multiple tolls. The whole route is plains. Places to explore on the way: Nothing much except the huge swaying paddy field of Punjab. Start from Jammu around 7 am to reach Srinagar or Sonamarg. We planned to stay at Sonamarg and crossed Srinagar because of the unrest going there from past few days. Tunnels: The India’s longest 9 Km tunnel; Chenani – Nashri (also known as Patnitop tunnel) has got opened in 2017 itself and it has cut short the total distance by 41 km. Another, 3 km long Jawahar Tunnel; also known as Banihal Tunnel. 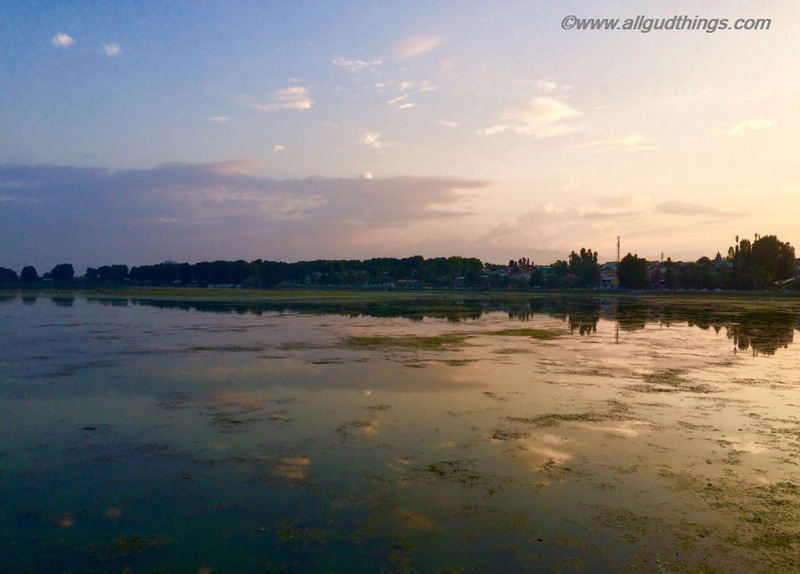 Places to explore on the way: Dal Lake, Shikara ride in Srinagar and huge golden meadows of Sonamarg. In the morning get up early to see the first sun rays striking the mountain peaks of Sonamarg, roam and feel its golden meadows (the real Kashmir). And leave for Kargil by 10 -11 am. Leave from Kargil around 9 am to have full time for sightseeing on the way. The condition of roads: Continuous ascent and descents; good roads with few broken patches in between. Places to explore on the way: At Mulbekh, the future Buddha statue dating back to the 1st century, Fotu La Pass, the ruins of Chiktan Fort; Lamayuru monastery and moon lands, Gurdwara Pathar Sahib at Nimu, the magnetic hill and confluence of Indus – Zanskar River. 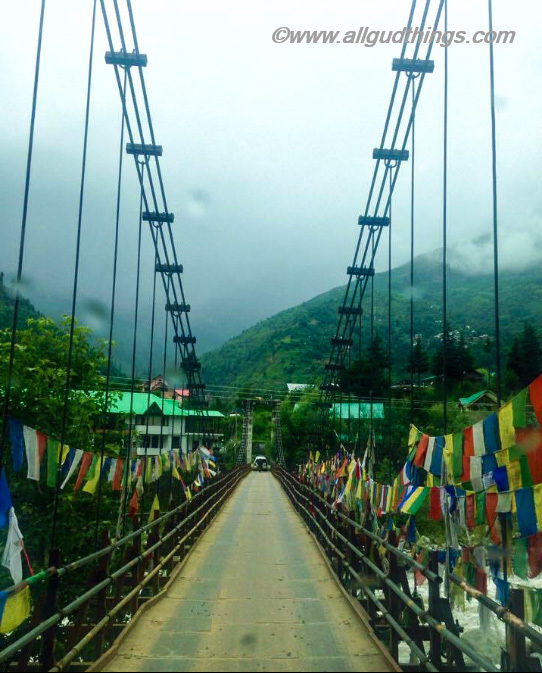 Take rest, get acclimatized and explore the city of Lamas. Places to explore: Leh Palace, Shanti Stupa, Hall of fame; Hemis monastery (45 km from Leh); and Leh market. Take a permit from DC office to further explore Nubra Valley and Pangong Lake. The condition of roads: Completely broken patch of 20 km at and around Khardung La till South Pullu. Places to explore on the way: Khardungla Pass, Diskit Monastery; the tallest statue of Maitreya Buddha and Hunder Sand dunes. There are two routes to reach Pangong Lake from Khalsar (33 Km from Hunder); one via Shyok and other via Leh. Check with the BRO (Border roads organization) or locals if the route from Shyok is accessible or not. During our travel, there was a major landslide on the Shyok way, so had to travel all the way from Khardung La again to reach Pangong Tso. The condition of roads: The roads are bad at and around Kardungla. Gushing streams; and paved road is on the way to Pangong from Changla whereas for the other route via Shyok; local taxi driver narrated that the route has many streams flowing on the road itself and sometimes it gets impossible to judge the depth and condition of the road. Places to explore on the way: Pangong Lake, Chang La pass, Shyok River, ruins of Shey Palace, Thiksey monastery, Hemis monastery. The condition of roads: Gravel and dirt tracks with streams flowing in between and you can drive maximum at a speed of 20-30 km/hr. The condition of roads: Gravel and dirt tracks, enclosed amidst the mountains. One can drive max at a speed of 20-30 km/hr (which can be irritating after a span). 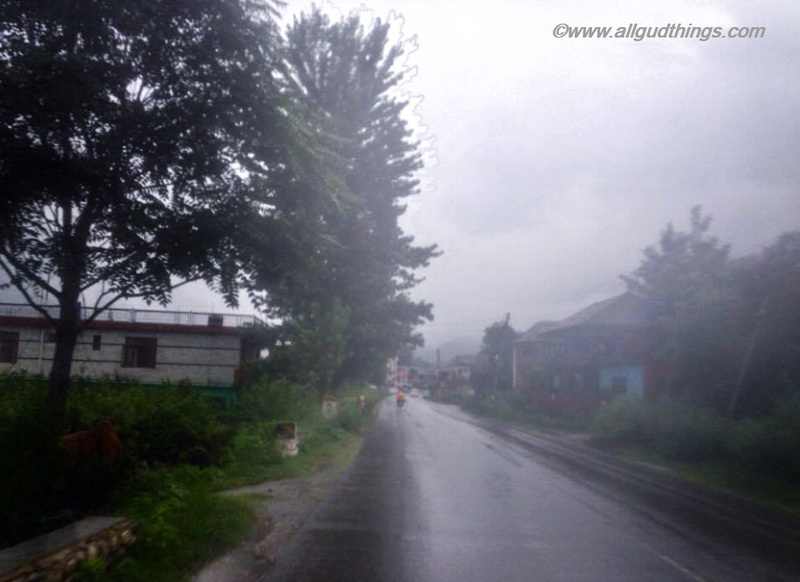 The road at Tso Kar village is metalled, a well-made road. 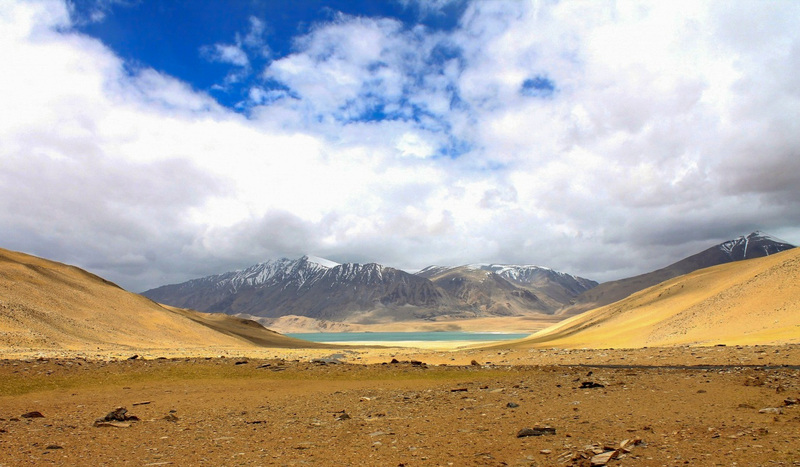 Places to explore on the way: Kaygar Tso, Puga hot springs, Polo KongKa La and Salt deposits around Tso Kar Lake. 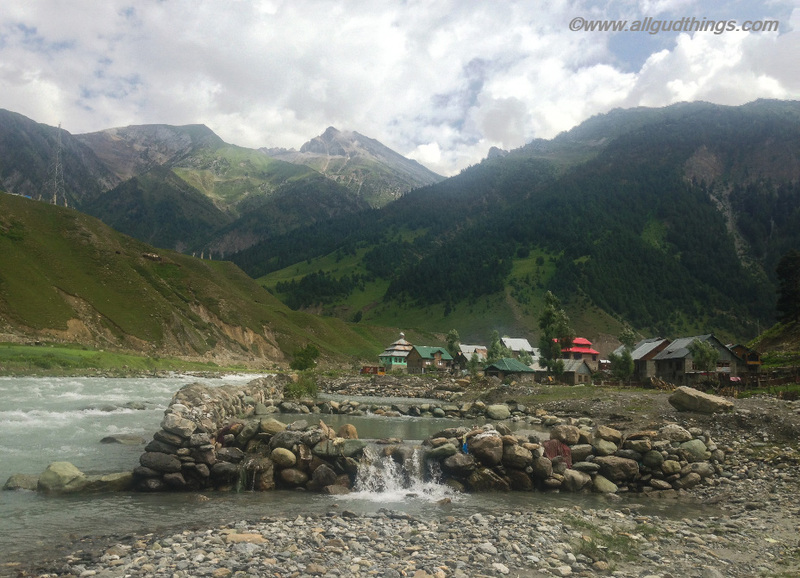 Start early from Tso Kar to reach Keylong by evening and trust me this is the most scenic ride. 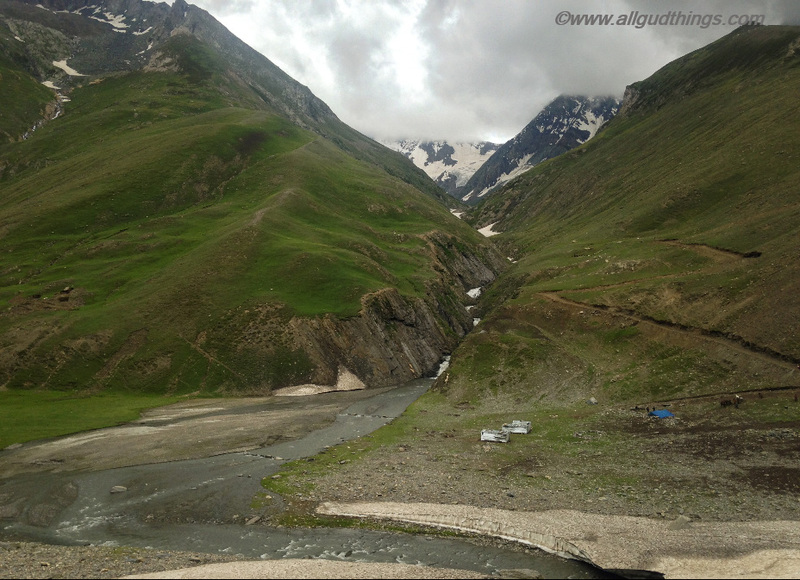 The Keylong to Manali route is lush green and it’s just a 4-5 hrs drive if the ascent to Rohtang pass is in good shape. The condition of roads: From Keylong to Sissu excellent paved roads, then continuous bad road while ascent of Rohtang pass and good road while descents. Few gushing water streams in-between the roads. It is always tough to say goodbye to the valleys and it was toughest for Leh Ladakh road trip. The last day is going to be a long hectic drive day. Places to explore on the way: Mandi; Chandigarh and delicious Punjabi food at Dhabas. All these routes can be covered in a lesser time than mentioned, but we suggest stopping and taking the enthralling views. There is neither hurry to rush and reach anywhere in the valley, so drive slowly. Listen to the locals for advice as they know the valleys better than a traveler. Don’t drive at night as first you will miss the views and it is really risky. And if your vehicle breaks down there is nobody to help around for miles. Spend a day or two at Leh, to get acclimatized for the higher altitudes. Prepare yourself for AMS (Acute mountain sickness) which can vary just from a mild headache to breathlessness. If one is feeling severe restlessness, look for the immediate help at the nearest shack or with BRO. For certain areas in the valley, you need to take the Inner Line Permit. Always have a day or two buffers in Leh Ladakh road trip, as one never knows neither can predict about the present and future situation of roads and landslides here. Get your vehicles fuelled up at Leh as the next fuel station is available at Tandi, 365 km from Keylong. For covering Tso Moriri and Tso Kar on the way from Pangong Lake, do carry extra fuel; at least 20 liters or even more. If you are planning to go Tso Kar directly from Pangong lake (which is 7-8 hrs journey), on the way you will cross Taglang La which is the world’s second highest pass at an altitude 17,582 feet. Don’t litter around in the valley. The idea of Leh Ladakh road trip itself means being in the lap of nature; away from the daily hustle bustle and social media. We simply mean that here there is no network. If you want to be in continuous touch with your family and friends do carry a BSNL sim. ATM services are available at Srinagar, Leh and then at Keylong. So carry enough cash during your Leh Ladakh road trip and keep some as a buffer. There are a lot of options for accommodations. Luckily, we got the nice accommodation everywhere without booking but we recommend to have pre-bookings for Leh Ladakh road trip. In between, there are multiple shacks to enjoy maggi, tea, coffee, paranthas, omelet etc. These shacks do provide homestays too at very reasonable rates. There are washrooms at the shacks for nature’s call and one needs to shell 5 -10 Rs each time. 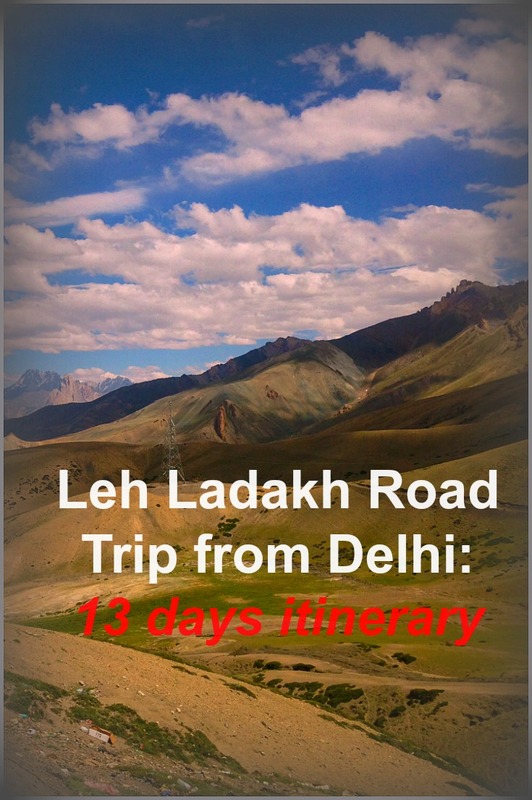 This is just the start of our Leh Ladakh road trip travel series. Stay tuned to know and see more in detail. 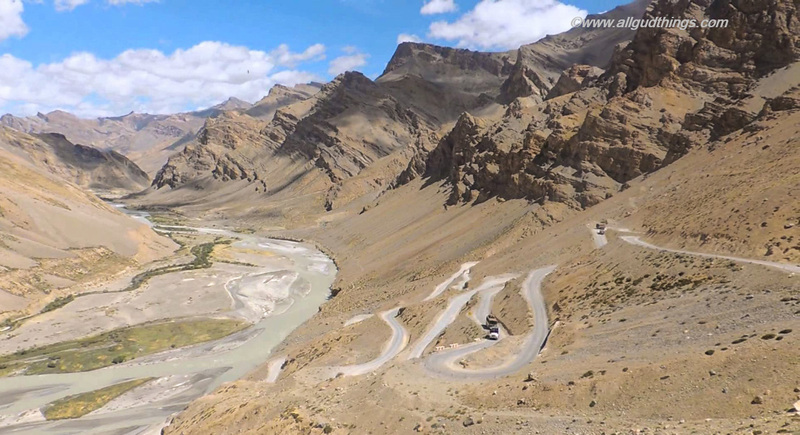 You can also read about our other Spiti Valley road trip here. What a great article with awesome pictures! Thank you very much for sharing! thanks for sharing this itinerary. I love to travel and youve inspired me. I just got back from 14 day s in Kenya that was amazing. Wow this trip looks totally amazing! You sure planned a lot to do in 13 days! Hi, I enjoyed reading about your travels and seeing your pictures. You certainly managed to pack a lot in 13 days and looked like you had a great time. A great detailed guide on things to do and see. The pictures are great and there is a lot covered here. This is so very useful to have a guide/itinerary like this. Sharing! I hope you have other blog posts about each segment, breaking it down. It looks like this is so much to see on this journey. It seems like a road trip that needs lots of planning and attention to detail, but quite worth it. Fascinating itinerary! Thx for sharing. Leh- ladak is my dream destination. I want to make a road trip, it such beautiful place. Have seen and heard some much. Your pictures bring back such good memories. The road trip around that area is difficult but oh so worth it. Very informative post! I love to see where people venture off to. This was great to read and I enjoyed the photos! All of your stops seem so remote! I love it! I would love to travel and see small remote towns and villages. I have been reading so many posts on Ladakh off late that I am totally planning to head there soon. Mission 2018. It looks so beautiful, and the idea of a road trip sounds the best.. Will keep all your pointers in mind. Cheers!! Thanks for sharing this! Our family loves to travel and we hope we can follow this itinerary! This is such an amazing trip. I can imagine the beautiful captures that will be shared in your next posts. Did you camp at Pangong Tso lake ? Wow! What an amazing place. Looks like there is so much to so and see. Such a great, in-depth itinerary for anyone planning a similar trip! Looks like a fascinating adventure too. What amazing photographs, this trip looks insane! Like you, I don’t think I’d want to rush either. I’d definitely take my time and soak up as much as I possibly could. This is a perfect itinerary for a road trip covering most of the important places in Ladakh. I was in Ladakh recently and I flew into Leh directly. So, I couldn’t do the Chandighar-Srinagar-Leh circuit. I m looking forward to my next trip in Ladakh to cover the roads towards Srinagar. Wow! So much to see and a lot of ground to cover! Some of those roads look and sound crazy, but what a beautiful place. Leh Ladakh is in my bucket list .Enjoyed reading your guide on it .Travelling with a child this amount of road travel is tough .That’s why delayed plans. That’s a great itinerary and we are starting on the same circuit on Saturday. Your post looks like a pre cursor to our trip and I am sure it will be more adventurous than that 🙂 Thank you for those tips. Really helpful. Leh Ladakh looks beautiful – such amazing views and your tips about allowing lots of time to appreciate them are spot on – thanks for such a detailed itinerary, I feel like I could do this myself! Wow! What an insightful post. Thank you for sharing such descriptive details. Wow..its beautiful. Leh Ladakh is on the cards for us for a long time now. Thanks for sharing. Thank you for sharing. I like the pictures and all the information. It’s important to get ideas of a place before hand. Excellent work. I have been planning this road trip and this will surely be handy. 13 days itinerary?? That’s one long road trip! Wow!!! Ladakh has high in my wishlist! I really hope to check out the northern most region of our country! I haven’t considered a road trip though!!! This looks too exciting! It looks great. I’ve never been to India but it’s been on my to do list for a long time. I hope I manage to go there soon and hope I can make the trip to this place. That looks like a great road trip! Those photos look amazing. Thanks for sharing. Very detailed break up of to do things for the trip. I am contemplating on one and your post has increased my urge more. This is one epic itinerary! Haven’t been to Leh Ladakh but I’ve backpacked India for 3 weeks. Next time will definitely include it in my trip. Wow, epic is certainly the right word to describe your trip. I absolutely love the photos! I still haven’t made it to India, but it’s certainly on my itinerary, and I’ll keep your route in mind. I didn’t know about Le Lakdah but this looks really beautiful Kyagar Tso. Is 13 days enough or is there more to do if I stay longer? Wow, what an extreme trip. I can’t believe there are so many switchbacks on that one stretch of road! Perfect picture to accompany it, too. I really like that you told us the condition of the roads as that can really make a huge difference to the time taken to travel certain distances. Great pictures guys. Wow, such great detailed information to make this trip effortlessly — thanks for sharing! Wow, I haven’t heard much about this type of road trip in India but so happy that you guys finally made it happen after three years! There is literally so much to see based on your pictures. You guys got to see a lot in just 13 days though! I have saved this post! Thank you so much for sharing this place is on my my bucket list when i return to India next time! Such nice pictures, looks better than i imagined and so much information. Delhi to Ladakh road trip has been one of the epic trips of our life. The landscapes are surreal and out of the world. 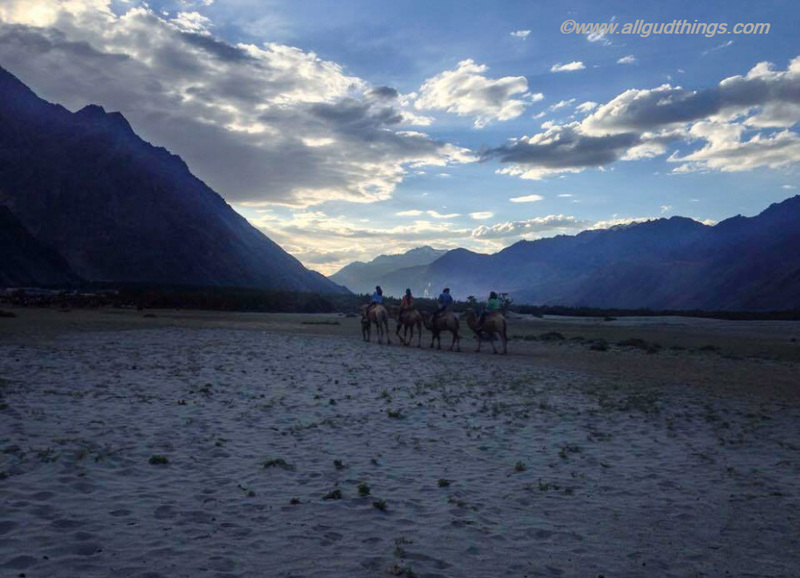 Due to short of time, we couldn’t make to few places like Nubra Valley, Tso Kar and Keylong. We would love to plan another trip to this wonderful region of Ladakh and explore all these places. You did SO MUCH!! What an amazing time – it looks incredible!! I remember mt trip to Leh-Ladakh. Even though it was years ago, I love that it still looks the same!! It was amazing to revisit it through your post!! What a fun looking roadtrip! Day 4 is my favorite…seeing that temple in person would be incredible. Thanks for sharing! Wow, this part of the world has long been a dream destination of mine as well! Such a comprehensive itinerary, thanks for sharing!!! Ladakh is probably one of the most fascinating natural landscapes in India and probably the world too. 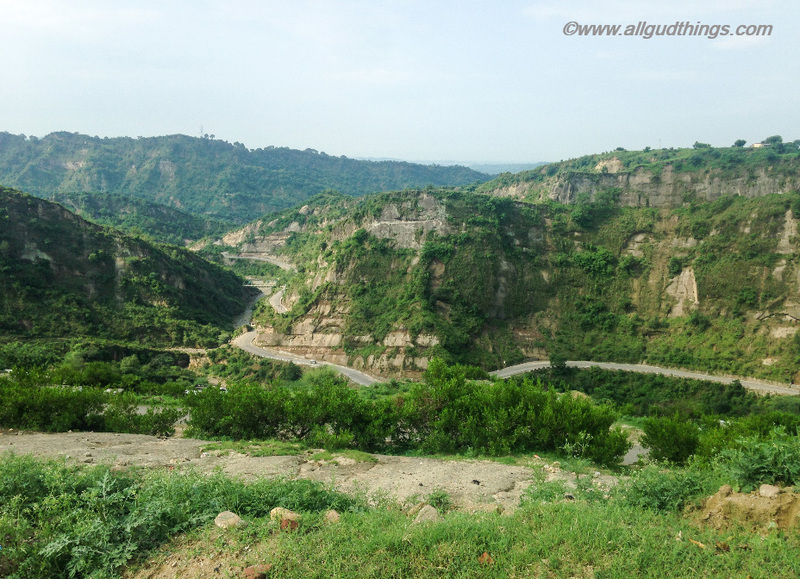 A road trip across this region is definitely a blissful experience. The sheer range of changing landscapes is mind-boggling. 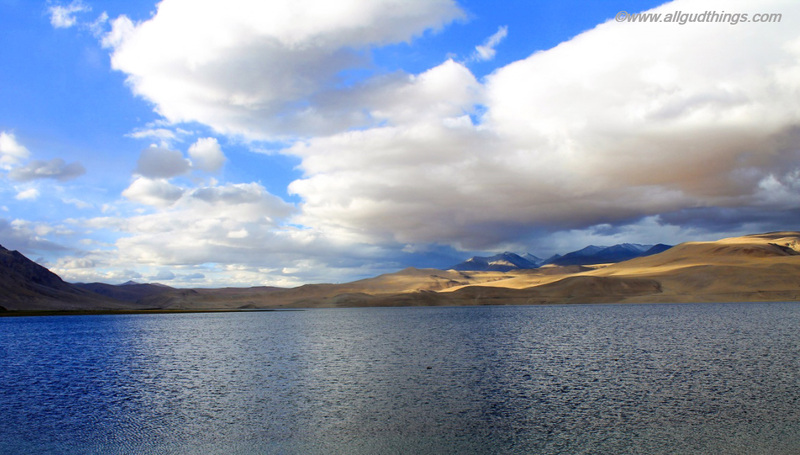 Your itinerary is an exhaustive one and promises the Ladakh experience to its full. I love road trips and I keep reading posts about this beautiful road to Lek and Ladakh. I actually have a friend who did it a few years ago and he showed me some amazing photos! I would love to do it myself, the scenery is simply spectacular! This is such a comprehensive road trip itinerary with a lot of beautiful landscapes to enjoy. I know that this has long been your dream and finally you’ve made it. I haven’t experienced a long trip like this one and I find it really amazing. From day 1 up to the last day of your journey, it was an astonishing journey that everyone would wish to experience as well. I love that you’ve shared each day of your travel including the beautiful scenery. Thank you so much for sharing this with us. So glad to hear you finally got to make your road trip dream a reality. Such comprehensive details about each leg of the trip–super useful for travel planning! I never really realized the many different landscapes there was or could be. This sounds like an amazing trip. Great you got to see all of this in this fashion because otherwise you would have missed so much beauty. This is an awesome road trip!!! I agree with you to drive only in the morning. With views like that, it definitely shouldn’t be missed! It must be 13 incredible days of being on the road and meeting locals. It’s such a beautiful country! This is such a great and detailed itinerary – how impressive! Good advice mentioning how there is no rush to get through it all! 10 rupees for using a loo? That is crazy. It is loot! But thanks so much for your detailed article. I think that this post will be a great help for the first timers. Reading this post brought back fond memories of my Leh Ladakh trip. We flew from Delhi and back to Delhi. It would be awesome to plan the Leh trip the way you have chalked it up. Particularly I am interested in exploring the Hunder-Pangong route via Shyok and Pangong-Tsomoriri route via Chusul. We went for both the lakes via Leh. I’ve yet to go on a road trip aboard! It’s a very rich and detailed itinerary. I wish I could go with you on this track, This looks too exciting! Great ride! I have been to India, but its so huge that I didnt get to go to Leh Ladakh. Loved the pictures! So many different landscapes! Thanks for the post! Beautiful landscapes, I’m really hoping it’s not going to be the next battleground for China and India. Everything seems to suggest the two powers want to go to war over some border regions. Let’s hope cooler minds prevail. We,two women from Mumbai, (both senior citizens by age but young at heart),would like to go on the 13 day trip to Ladakh in July 2018. Could you pl tell us the cost of transport by taxi for full trip? Wow, sometimes I forget how large India is. A 69 hr road trip is a huge road trip. I would love to follow this Itinerary. So much to see and so little time. At July 2019. But I am thinking for hotel, Pangong lake camp and Car 🚙 for that time.